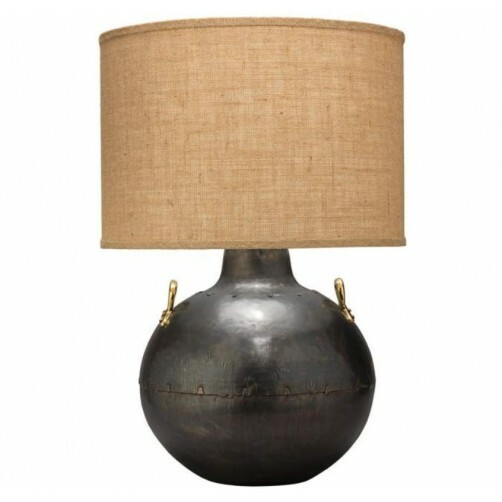 Add a little edge to your decor with this metal table lamp. 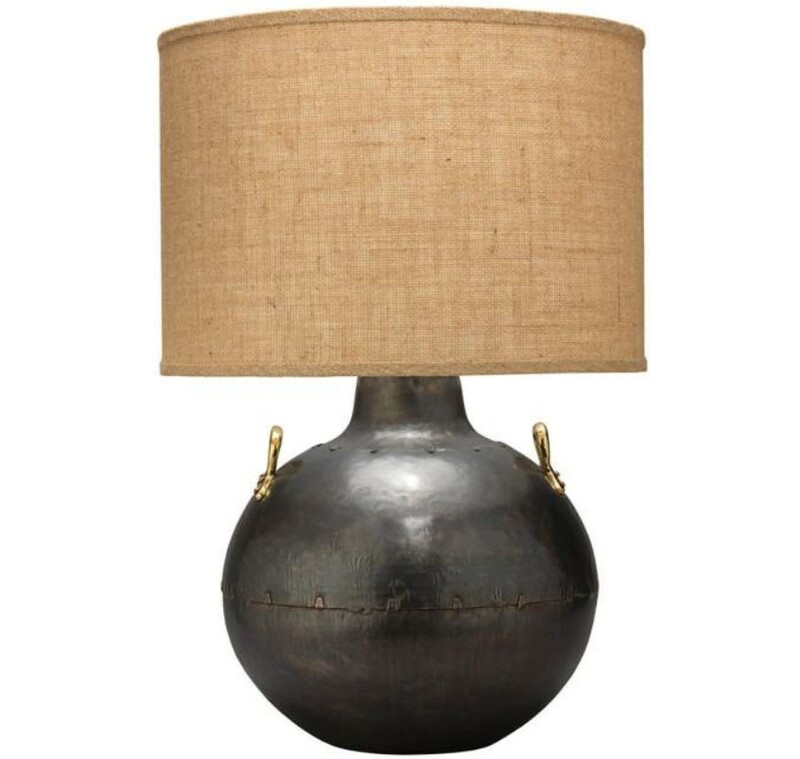 The iron finished base is styled after a two-handed kettle and topped with a natural burlap shade for a warm, handsome look. Total: 16.5" Diameter x 25"H.
Base: 6" Diameter x 13.5"H.